My all time favorite love poem and some heart shaped mini chocolate cakes! For the cake, mix softened butter and sugar until foamy, add eggs one by one, mixing about 1 minute after each addition. Add sour cream, orange zest and juice, mix for another minute or two. Combine flour and baking powder. Fold into butter mixture by hand. 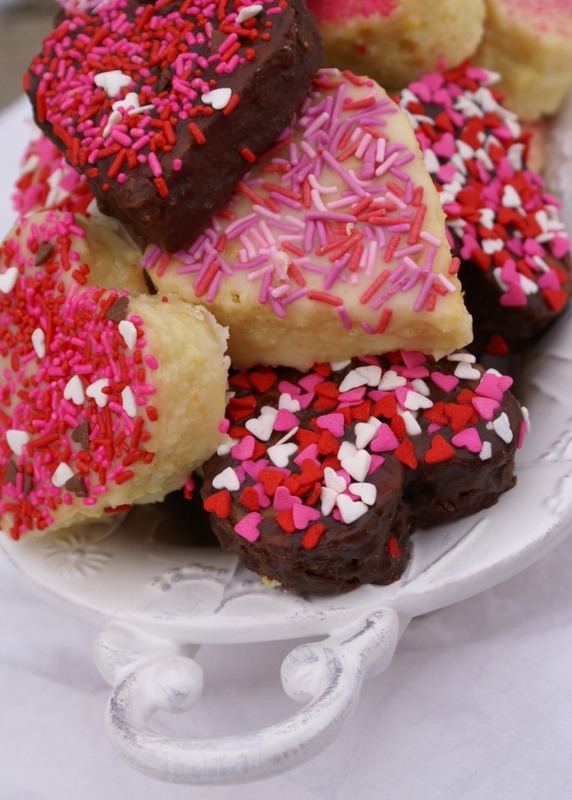 Line baking sheet with parchment paper, pour the batter and evenly spread in the pan. Bake at 375 F (190 C ) until light gold color. Cool completely. 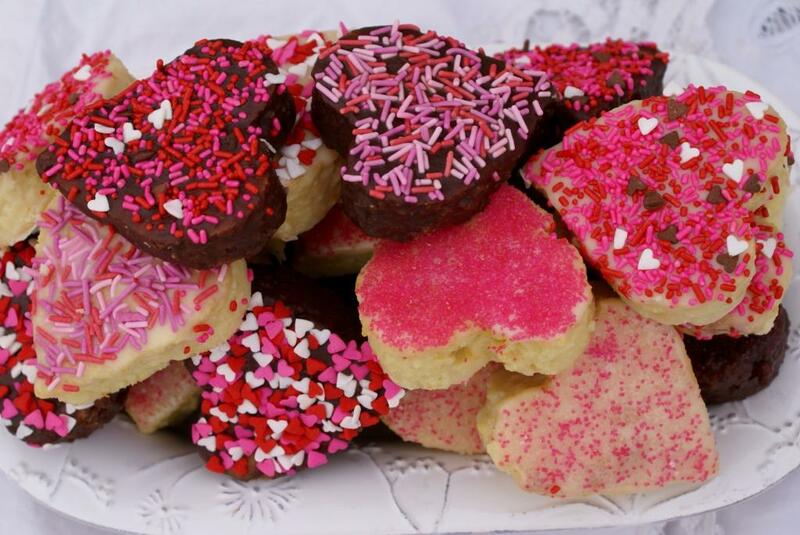 Use a large heart shaped cookie cutter (about 2.5 – 3 in ) and cut out individual cakes. I had about 28 of them. For the dip, break the chocolate into small pieces, put it into a stainless steel bowl, add butter. Place the bowl over a dish with boiling water, let it all melt, mix until smooth, at the end add milk. 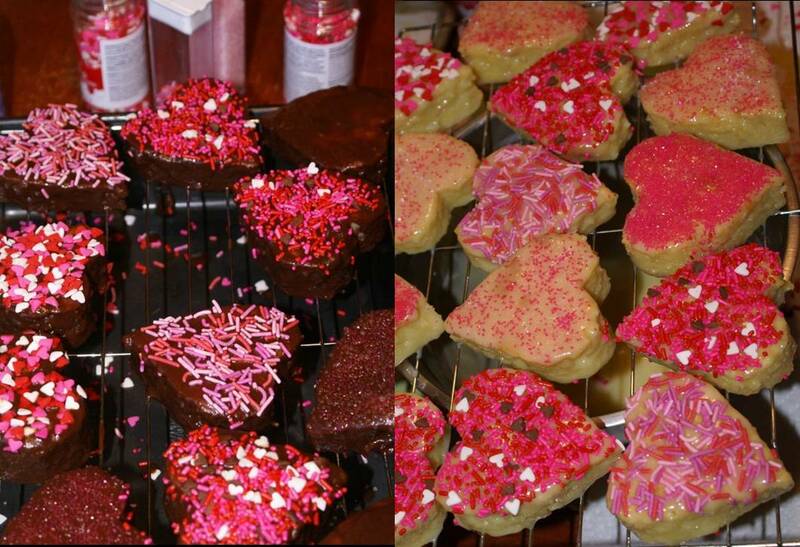 Dip each heart cake into the melted chocolate, put sprinkles on and place on the wire rack to cool down. Keep in the fridge and remove at least 30 minutes before serving. They look amazing and love the poem! Thanks, I think they are really good! Combination of orange and chocolate is one of my favorites. Thanks for stopping by! Draga moja Sibi! Nevjerojatna si! Predivni kolačići! Haha, please send them anytime! My son is a swimmer and I can tell you he eats LARGE amounts of food! He eats a second dinner one hour after regular dinner and then 1 to 2 snacks before bed time! So I am prepared! 😀 Bobbi, Happy Valentine’s to you and your family as well! Oh, Sibella.. this is just such a beautiful post.. 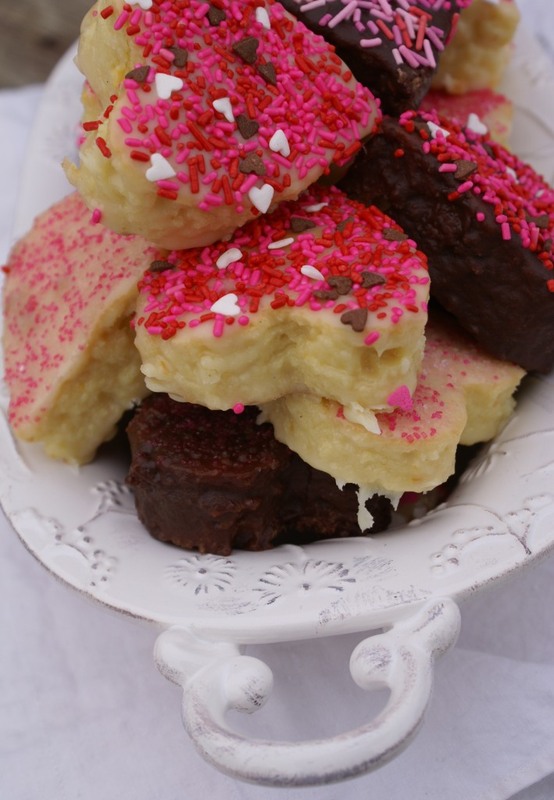 I love the poem and your pretty little heart cakes are just so lovely! This is my kind recipe that’s for sure!! 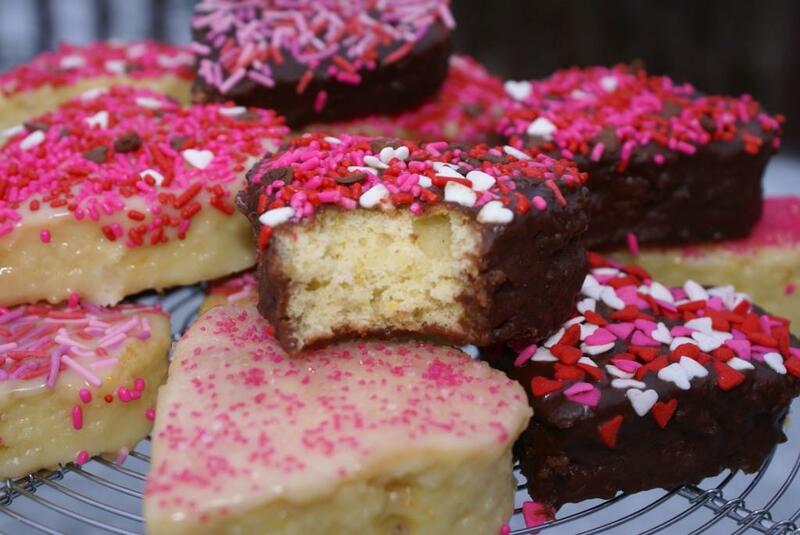 I hope you had a wonderful Valentine’s Day with these little treats! Oh my dear Smidge, thanks so much! I guess I am one of those romantic souls… 🙂 My Valentine’s day was very nice! Thanks for visiting! I love the addition of orange to the cakes.. Citrus desserts are my favorite! Thanks for stopping by! I love citrus deserts as well. That lemony, buttery cake of yours is wonderful! 🙂 Keep in touch!